"The Claw" picks up leaves in an East Sacramento neighborhood on Tuesday. Drive around Sacramento this week and you’ll notice piles and piles of leaves. Every Autumn, it takes about two weeks for the city’s crew to pick them up. 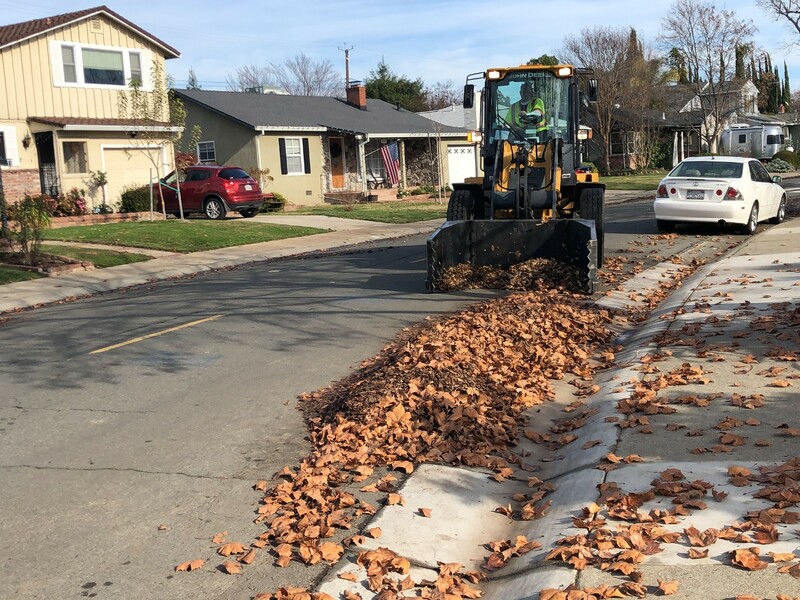 But it’s taken “the claw” and dump trucks 20 days so far to collect leaves this year, according to Erin Treadwell, Sacramento's Recycling and Solid Waste Division. That’s because Mother Nature “dropped all her leaves in about a seven- to eight-day time period, usually the heavy leaf drop takes two or three weeks,” Treadwell explained. The main issue is rain, she says. “Wet leaves are heavy leaves, and that means we can't load our trucks to full capacity before they meet their legal weight limit,” Treadwell said. Over the past few weeks, Treadwell says city crews have collected twice as much leaf tonnage as last year. “Just over the last weekend, we pulled out 1,200 tons of leaves; last year it was 700 tons in the McKinley Park area,” she said. Treadwell says crews will continue to collect until all the city’s streets are cleared. "We will also be working Christmas Eve and Christmas Day to try and get through an avalanche of leaves,” Treadwell added. “We apologize we have not hit our target of 14 days, we really appreciate your patience,” Treadwell said. Correction: A previous version of this article misspelled Erin Treadwell's last name.